The study of consciousness is recognized as one of the biggest remaining challenges to the scientific community. This book provides a fascinating introduction to the new science that promises to illuminate our understanding of the subject. Consciousness covers all the main approaches to the modern scientific study of consciousness, and also gives the necessary historical, philosophical and conceptual background to the field. Current scientific evidence and theory from the fields of neuropsychology, cognitive neuroscience, brain imaging and the study of altered states of consciousness such as dreaming, hypnosis, meditation and out-of-body experiences is presented. Revonsuo provides an integrative review of the major existing philosophical and empirical theories of consciousness and identifies the most promising areas for future developments in the field. 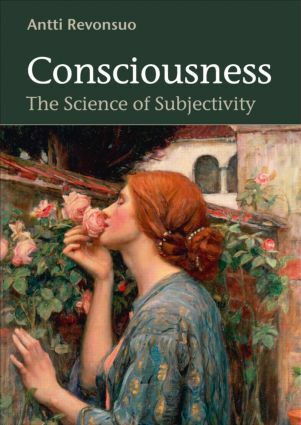 This textbook offers a readable and timely introduction to the science of consciousness for anyone interested in this compelling area, especially undergraduates studying psychology, philosophy, cognition, neuroscience and related fields. What is an “altered state of consciousness” (ASC)?